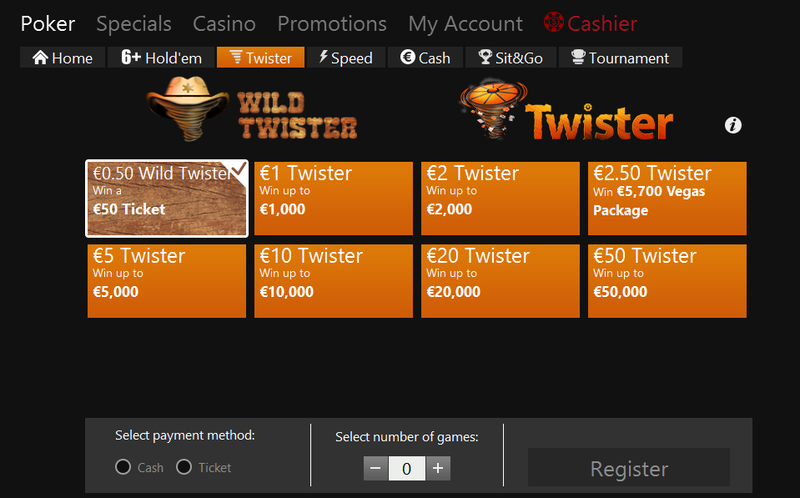 We are proud to bring you Wild Twister - an adaptation of the standard Twister Poker format that runs at an even more fierce speed...all-in every hand! In these winner-take-all, Sit 'n' Go 3 handed - turbo tournaments, prizes can be in the range of 2 to 100 times the buy-in of €0.50. Players are therefore given the chance to win prizes ranging from €1 to €50.